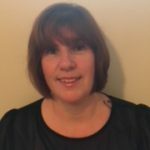 Debbie started work for the Kent and Medway AAA Screening Programme as an administrator back in 2010. It wasn’t long before she was asked to become a screening technician and she did both roles for a short time. She became acting programme manager when the then manager was on maternity leave. When the manager chose to not return, Debbie progressed to the post permanently. She moved to the Dorset and Wiltshire AAA Screening Programme in 2016 and is thoroughly enjoying the more rural life.